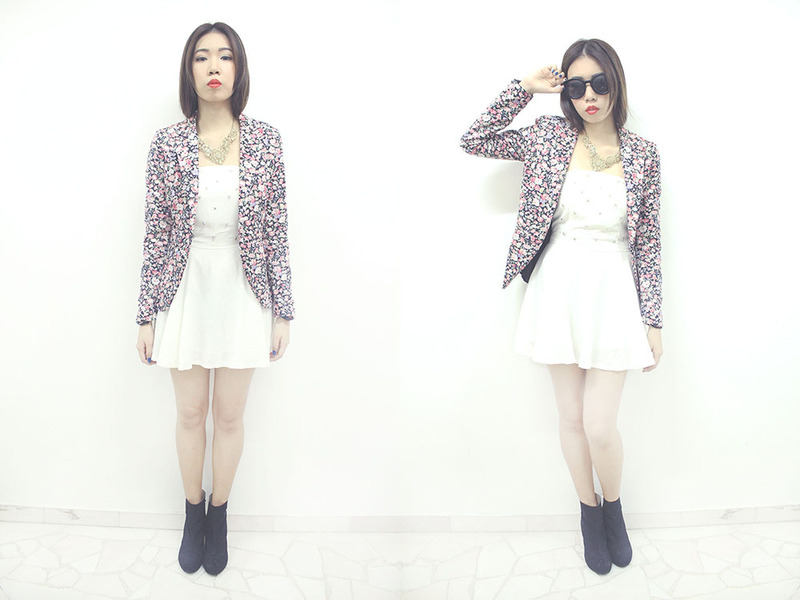 HOW TO: Little White Dress [Studded] | The zealot of fashion. The basic little white dress that I believe every girl should own. Be it body-con or flared, tubed or strapped, it's one of our basic essentials of our wardrobe. I personally own a black body-con dress therefore I decided to go for a flared tube dress (best part that it's studded). It was from an online reseller & I wasn't informed where it was originally from. For the first look, I just simply wore the dress with a chunky necklace so that my collar bone area doesn't look so bare. Then I paired it up with a black suede high heels. I've decided to match the outfit with silver accessories to keep the look one toned. Look number two goes with a little more hipster vibe to it. Ladies, take out your nerd specs and snapbacks. However, you could always lose the cap and the specs if you want to keep it casual. I love my denim collection so much, it's also a basic that you must not miss! Go bold when it comes to footwear. Finish up the look with a rainbow laced up booties. Here's to a playful and cheery outfit. These are probably the most comfortable heeled boots that I own. It's from none other than the fabulous Zara. The only downer about this is that the heel not real metal, it's actually just some plastic foil wrap. But on the bright side it is pretty lightweight and easy to walk in. If you intend to go for a more formal look, put on your big coats and blazers to give your classic look a formal finish. My blazer is from Eating Zombie. I suggest that you wear a vintage type of statement necklace to complete this look. Short hair, yay or nay? Here's a good combination if you're going out on a date and you want to have that very sweet and preppy look. Layer your knit wears over your dress and wear it with a waist belt. The waist belt helps to enhance your curves. Don't forget your pretty heels, it's completely optional though. You could always wear sneakers if you want to look more fun or boots for that street style chic look. 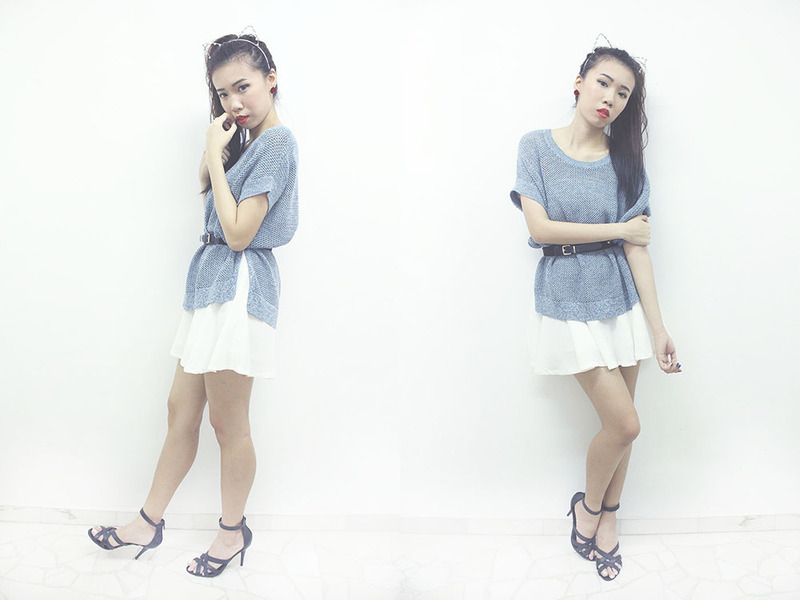 My shoes and belt are from Zara while my knit top is from Uniqlo. Uniqlo sells the best basics, knits and shirts, you must check it out as they are totally inexpensive. Being the Zara freak that I am, both my skirt & wedge are all from Zara. 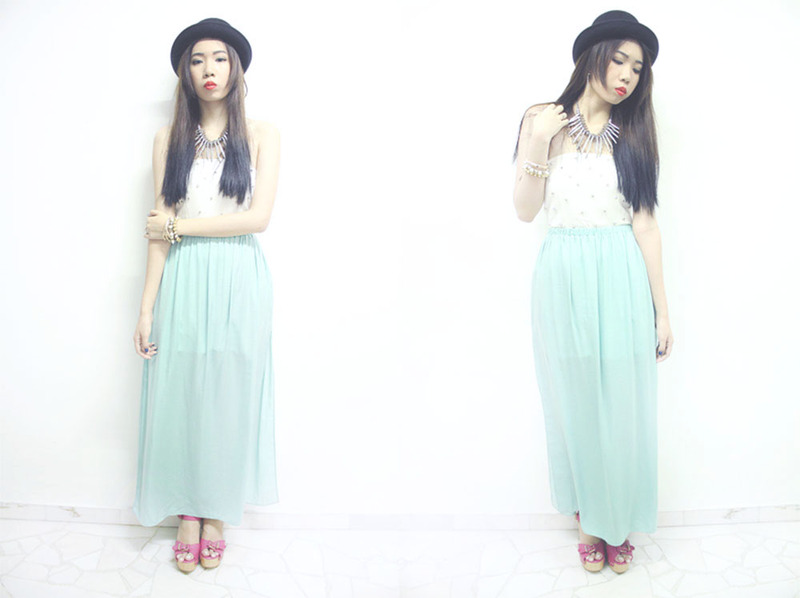 Somehow my skirt & shoes reminds me watermelons, yes? 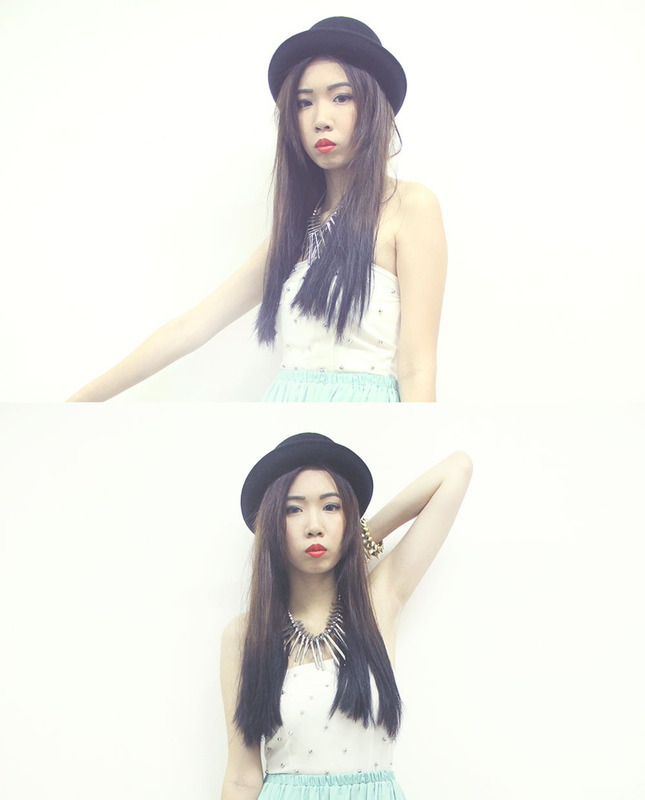 I decided to use an opposite colour combination to make the outfit look more adventurous. This is pretty suitable for a dinner party or a special occasion. Not too shabby but a little feminine. This is my favourite coordination among all.